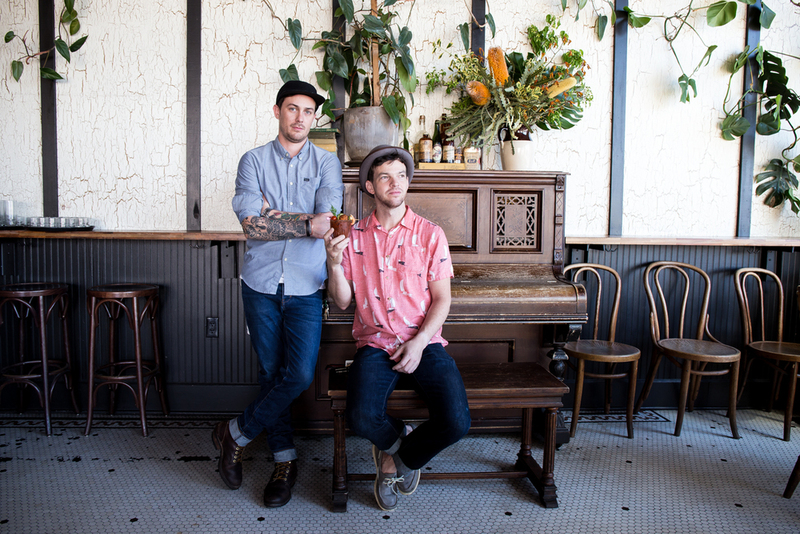 James Ault and David Benedetti with their winning drink Blood on the Bayou. 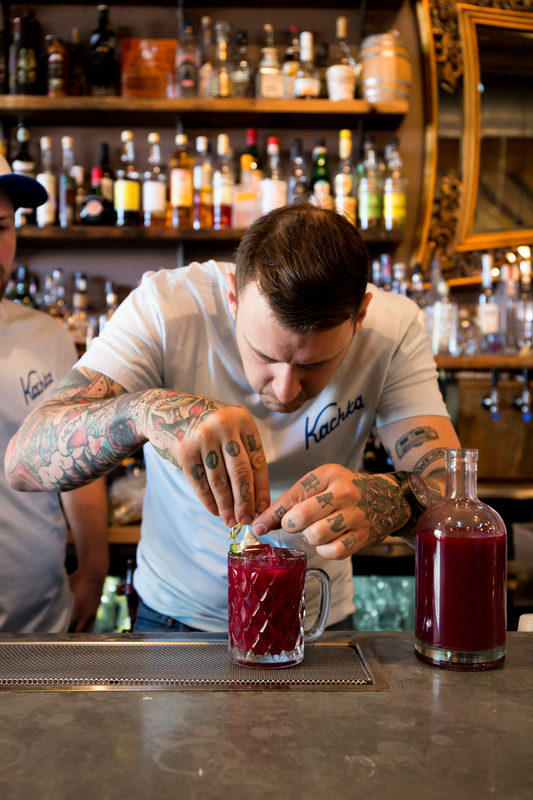 On Sunday, May 1, Kachka hosted a Bloody Mary Bloc Party in celebration of the release of its horseradish vodka, inviting Bull in China, Oso Market + Bar, Dig A Pony, Bit House Saloon, and Slow Bar to create a unique version of the classic weekend drink. The drinks were tasted by bloc party attendees, who visited each location in the Central Eastside and then voted on their favorite. As the event drew to a close, Dig a Pony's Blood on the Bayou was crowned Best Blood Mary on Grand. Before the festivities began, I photographed the competing drinks with their respective creators. The photos were published in an article in The Oregonian along with recipes from each competitor. Kachka hopes to make the competition an annual event and is now offering their horseradish vodka at local liquor shops. Lucas Plant garnishing Bull in China's Sitting Duck. Bull in China's Sitting Duck. Colin Howard's Sign of the Times. James Ault creating the Blood on the Bayou. Dig a Pony's Blood on the Bayou, the winning drink in the Bloody Mary Bloc Party competition. Chauncey Roach with the Red Herring. Bit House Saloon's Red Herring. Slow Bar's Reign in Blood.